The place is beautiful! 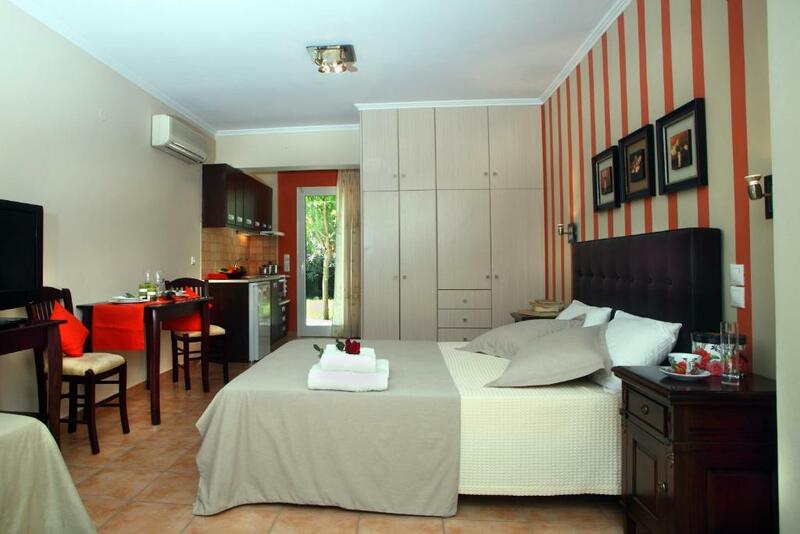 Location is great, near the beach and Lefkada town. The room, perfect, clean, comfy. A taxi from Nydri costs 25 euros and 7 from bus station. The garden and the apartment were great. There was enough parking space, a green view, cosy and wonderful. It is close to Milos beach, 10 min walk and also close to town, 20 min walk or 5 by car. For access to other beaches you definitely need a car. This location is perfect for travlers who want to be close to town for evenings out and to explore a diffrent beach/location by car, by day. The manager is a lovely person, made us feep very welcomed. For sure we're considering this location for future trips as well. Everything was lovely on arrival , especially after a rough night on a boat in string winds . The host was very friendly & the accommodation all we wanted and more . Very peaceful location & walking distance to town & beach . Liked it so much we have stayed on for some more nights ! The room is very nice. The staff is super friendly. The territory is beautiful. The location was lovely, clean and comfortable. Lovely terrace for morning coffee. The bed was comfy with good pillows. The flat was just spacious enough for us - with room for hanging and drawers, bedside cabinets, a table and chairs (and just enough space for kitegear storage!) and a kitchenette with just about everything we needed bar a kettle. Small but good shower room with space for two people to get ready simultaneously. The garden was lovely - very green with loads of mediterranean plants to enjoy. 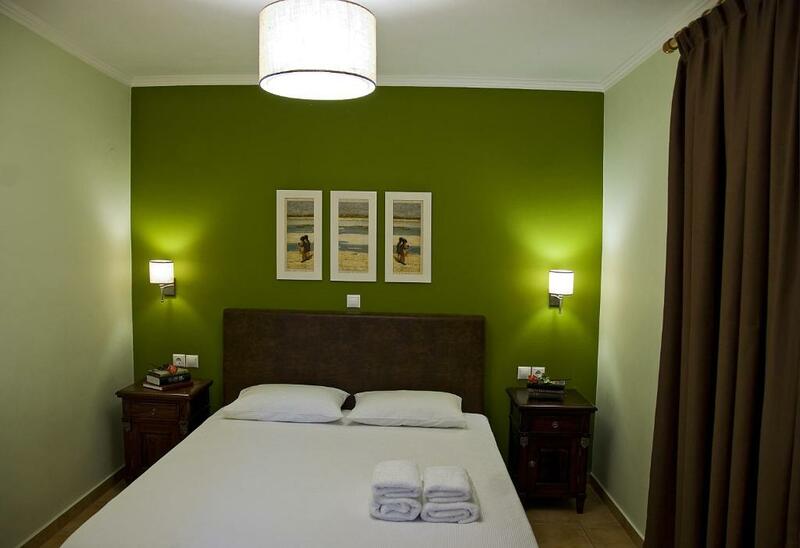 Very clean, nicely decorated and well equiped rooms. Fantastic garden, ideal for small kids. Very polite and helpful owners. They upgraded us to a larger room (FOC) when they realized we had our 3 year old daughter with us (even though we had already mentioned it on our reservation). They even gave us a hammock so that the little one could have an afternoon siesta in the garden! Supermarket nearby. Strongly recommended! εξαιρετική τοποθεσία κοντά στην πόλη της Λευκάδας και μέσα στον Ενετικό ελαιώνα, καθαρά κ μοντέρνα δωμάτια, βολικό πάρκινγκ. Ο ιδιοκτήτης ευγενέστατος και εξυπηρετικότατος. Εντύπωση μου έκανε η καλά εξοπλισμένη κουζίνα και η παρουσία πλυντηρίου ρούχων στο δωμάτιο, ιδανικό για πολυήμερες διακοπές. Το συνιστώ ανεπιφύλακτα. Lock in a great price for Anthias Garden – rated 9.4 by recent guests! 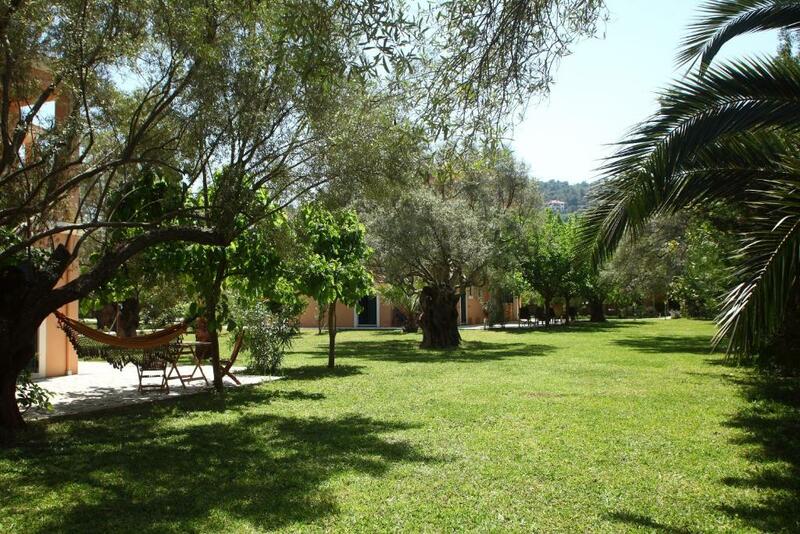 Anthias Garden is in the heart of the Venetian olive grove and half a mile from Agios Ioannis Beach in Lefkada. 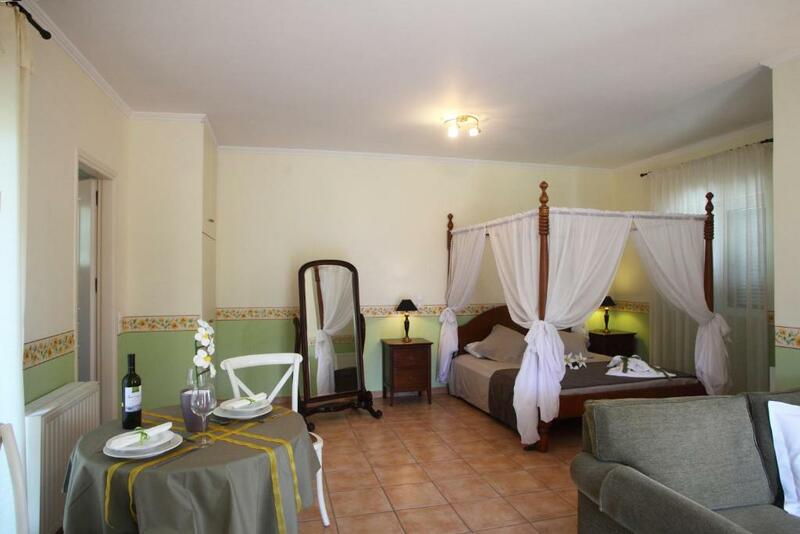 Surrounded by well-tended grounds, it features food preparation equipped accommodations with free Wi-Fi. 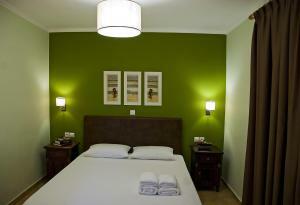 The air-conditioned units have tile floors and are elegantly decorated with well-chosen furnishings and bright colors. Each unit features a kitchen with a dining area and fridge. They all come equipped with satellite TV, while some of them open up to a balcony with views. The staff at the front desk is available 24 hours per day. The guesthouse also offers BBQ facilities upon request. 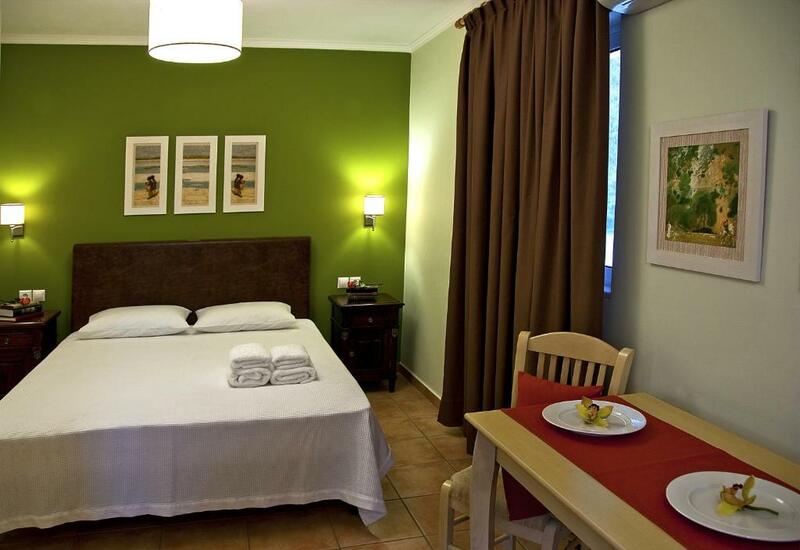 Anthias Garden is located 11 miles from the lively Nydri and half a mile from the town of Lefkada, where guests will find restaurants, bars and supermarkets. Free private parking is available on site. 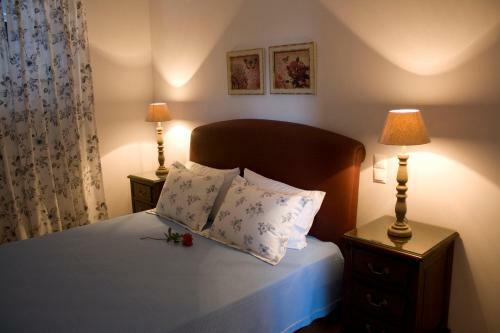 This is our guests' favorite part of Lefkada, according to independent reviews. 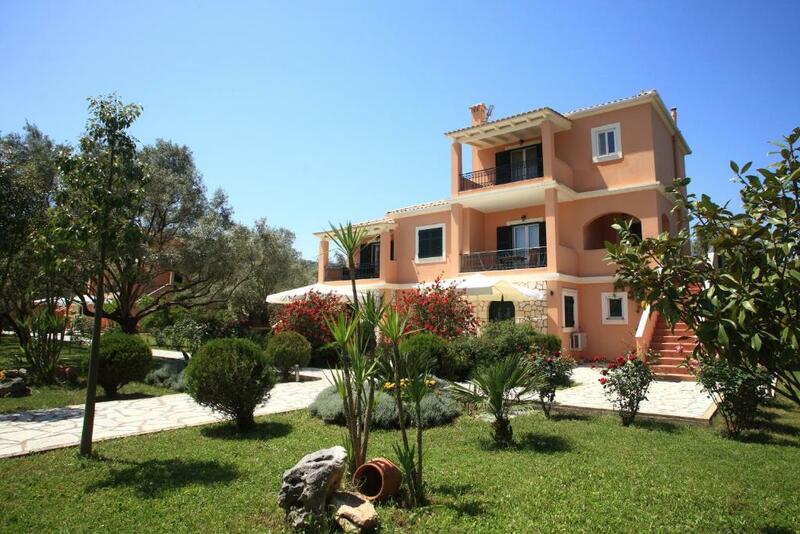 This property is also rated for the best value in Lefkada! Guests are getting more for their money when compared to other properties in this city. 뀐 Located in the top-rated area in Lefkada, this property has an excellent location score of 9.3! When would you like to stay at Anthias Garden? Located on the ground floor, the elegantly decorated studio offers garden views and comes with air conditioning and satellite TV. It features a dining area and a marble bathroom with a hairdryer. Enjoying garden views from its 2 private balconies, this air-conditioned apartment is equipped with satellite TV. It is located on the first floor and features a fully equipped kitchen and a dining area. Its marble bathroom is stocked with a hairdryer. Featuring a fireplace and a private balcony, this elegant and spacious maisonette consists of a seating and a dining area. It comes with a fully equipped kitchen and a private entrance. Standard amenities include air-conditioning and satellite TV. 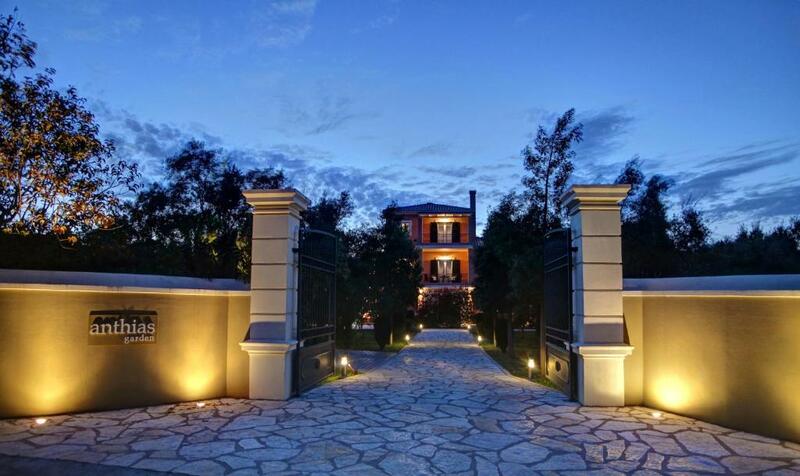 The location is in the heart of the Venetian olive of the capital-town of Lefkas in a compound of 5,500 m2 only 800 meters from the unique wind serfers beach of Agios Ioannis and 1.5 km from the center of Lefkas Town. House Rules Anthias Garden takes special requests – add in the next step! Anthias Garden accepts these cards and reserves the right to temporarily hold an amount prior to arrival. Please inform Anthias Garden of your expected arrival time in advance. You can use the Special Requests box when booking, or contact the property directly using the contact details in your confirmation. Cannot think of anything we didn’t / don’t like ! additional bed (we booked an additional person very late before arrival) was not very comfortable... but still more than okay! Ktel bus stop is far for walking. Ideally there could be a space to lounge outside - we had a small shaded patio which was useful but no lounging chairs. Of course a pool would be lovely for cooling off in too.